I have always wondered what it would be like to go vegetarian for the rest of my life. I figured it wouldn’t be too hard, but then I thought about all the delicious meats there are out there. My father is German and because of that he loves to cook meat. It’s the normal delicacy in Germany, lots of meat dishes, so I thought it would be a little hard to do at first. But then I knew that this is something that I’e always wanted to do, so I was willing to take the challenge. I decided that I would start with a different diet, so I became a pescatarian. 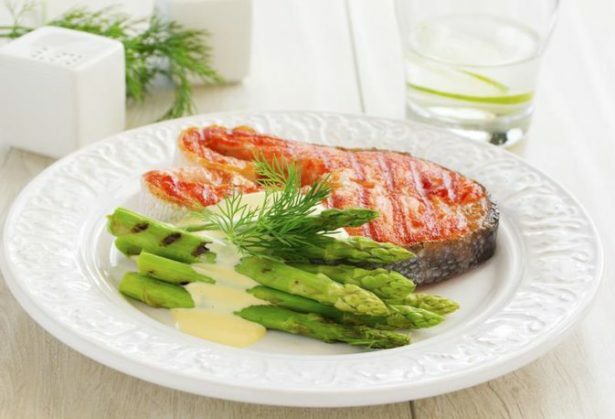 The pescatarian diet is similar to being vegetarian, except you can still eat seafood. This means fish, crustaceans, and clams were ok, but no poultry, beef, pork, etc. The reason I decided to go pescatarian before fully vegetarian was to make sure I transitioned well before I completely cut meat off from my diet. I also wanted to make sure that I wasn’t going to be low on protein, which shouldn’t be a big problem. So, the start of my journey began. I started this diet for only 1 month, just to see how it goes. The first month was very easy and went by fast. I wouldn’t say that I was a massive meat eater to start with, which I think is why this was easy at first. I substituted my usual meat dishes with seafood. I felt really good! A lot of times I heard people say that when you completely cut meat out of your diet you will feel really tired because you may not be getting the same iron, but I honestly can say that I felt a lot better. I went on to be a pescatarian for 2 years. After 2 years went by I decided to become fully vegetarian. I would have done this earlier, but I felt like I would have had some problems with keeping up with the right amount of protein and vitamins. On the contrary, I have had barely any problems. A little more cooking and meal planning, but I believe it isn’t the biggest change, considering I haven’t been eating meat for over 2 years already. I take iron supplements, take my everyday vitamins, and sometimes take a protein supplement mixed in with my drinks. 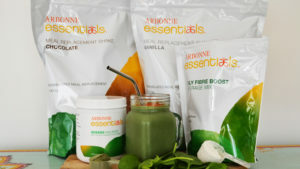 My favourite is the Arbonne shakes. I have now been vegetarian for 4 months, and I continue to keep it up. Will I ever go vegan? Not sure! I do sometimes buy plant-based and dairy free over “regular” products, such as vegan butter over regular butter. I feel good having fully vegan foods, but it can get very pricy. Maybe one day I will try to become vegan! A few benefits, in my opinion, is weight control. Animal foods are higher in fat and cholesterol, adding to the amount of calories consumed as well. I noticed when I became pescatarian I lost weight. In the beginning, my appetite grew, but as I got used to it it was no problem. Cutting meat from my diet has also saved a bit of money. Meat can be expensive, and being a vegetarian has allowed me to thoroughly save money on groceries. Another great benefit is the ecological benefits. Living vegetarian or plant-based is great for the environment. 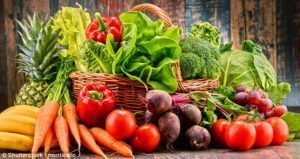 A vegetarian diet uses a ton and a half less carbon dioxide per year than the typical meat diet. Animal agriculture produces more pollution and greenhouse gases, requiring more resources for production methods as compared to plant-based products. Yes, there are obviously some nutritional challenges. You need to be aware of any deficiencies in your choice of diet. 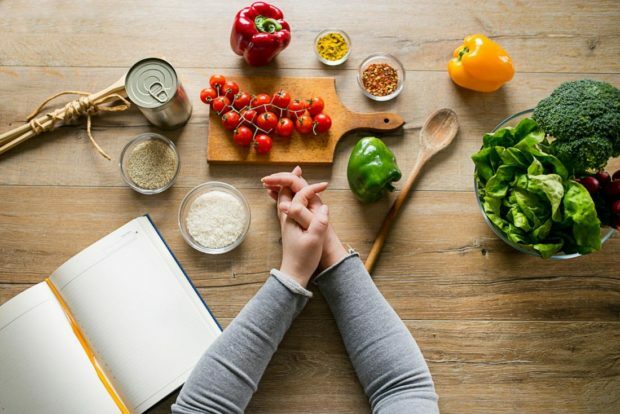 A vegetarian diet can lack of protein, so the best way is the eat foods that are high in complete protein, as well as possibly taking a protein supplement, which can be completely tasteless, or a whole meal replacement. It’s also best to consume vegetables that are high in vitamins D, K, and B. I take vitamin D2 and B12 supplements every day and keep up on my leafy green vegetable for vitamin K. If you’re a smoothie fan, I always add at least 2 tablespoons of chia seeds into my smoothies to get an extra boost of protein and omega-3 fatty acids. With the right research, changing to a pescatarian of a vegetarian diet can be easy, and beneficial! Easy. For the love of animals. I am a huge animal lover and the thought of all the animals being raised and grown in large masses just to be eaten disgusted me. I feel happy knowing that I am not contributing to the production of meat, and one day I hope that I will be completely plant-based. This is a big one for me. There are countless times where vegetarians and vegans will attempt to scold and push their beliefs on people who do eat meat. I think that it’s great to enlighten somebody on your views and maybe make a suggestion, but if they choose to continue eating meat, let them be. Sometimes people need meat to survive, because they cannot gain all the right nutrients if they were vegetarian, or for their own personal reasons. I admit, there are a few meat dishes that were delicious! But that doesn’t mean I’m going to go back to eating it, or let alone crave it. I have 0 meat cravings and it’s great! So please, be respectful to everyone’s own decision. However, if you want to try going meatless for a month, I think that it would be a great experiment! Hi Victoria! Just read your article on your journey of becoming a vegetarian. I think it’s the perfect way to at first being pescatarian before becoming a full vegetarian.